Cornwall's Aisling Cuffe, signed to Stanford, established a new state record in the 1,600 and 3,200 at Loucks. She was named female outstanding performer. She talks after the 1,600. WHITE PLAINS – St. Benedict’s coach Marty Hannon couldn’t help but think about what could have been. When senior Tahlief Jackson transferred from Patterson to the New Jersey private school powerhouse, the rules said he had to sit out 30 days. That meant he had to watch his new team from the stands at Penn Relays. Tre Bracey isn’t afraid of the moment. Not even an audience of 50,000 at Penn Relays could faze him. The Hamilton senior stayed in his own head, in his own world. All to a James Brown soundtrack. 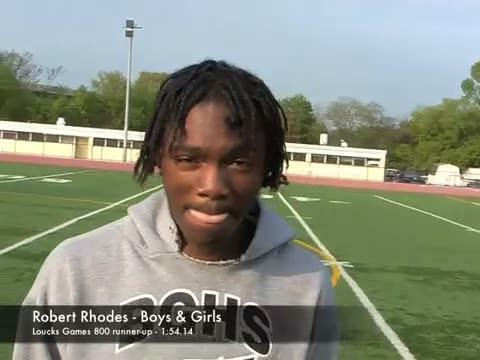 WHITE PLAINS – Medgar Evers coach Shaun Dietz gave Andre Jordan the pat on the back in deserved after he won the 400 meters at the Loucks Games. Then he quickly put the performance in perspective. WHITE PLAINS – Zavon Watkins ran the fastest 800 meters of his high school career Friday and one of the best in the country. But the Liverpool junior and indoor 800 national champ, stood outside the track talking about what he still had to prove. 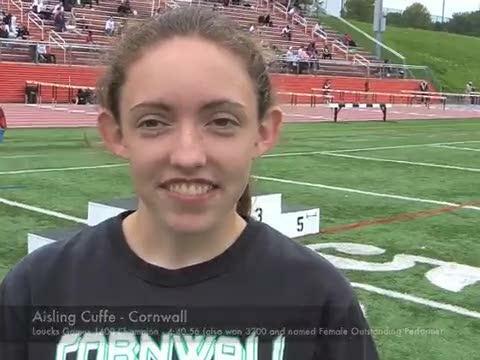 In a story posted last night, I wrote that Cornwall senior Aisling Cuffe broke a New York State record when she won the 1,600 at the Loucks Games Saturday in 4:40.56. The time, when converted to a full mile, would equate to 4:42.19, which is faster than the mark set by Saratoga Springs' Nicole Blood (4:42.40) in 2004. However, that information is incorrect. Record-keepers do not accept such converted times since the 1,600 is about nine meters short of a full mile. Columbia-bound Klarissa Ricks of Holy Names won the girls long jump at the Loucks Games in 18-10.50. 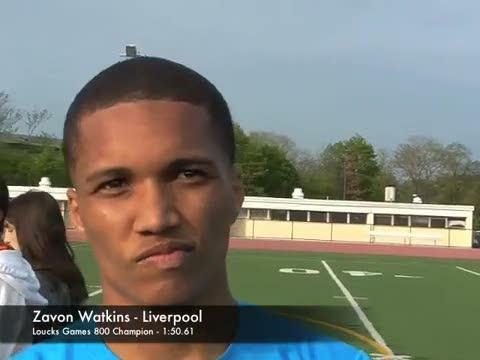 Liverpool's Zavon Watkins talks after winning the 1,600 at the Loucks Games in 4:11.13. He was later named the male outstanding performer. 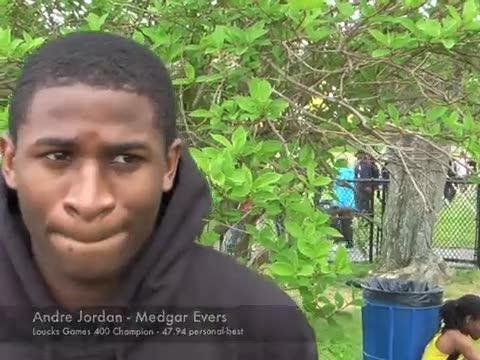 Medgar Evers senior Andre Jordan set a personal best, winning the 400 at the Loucks Games in 47.94. 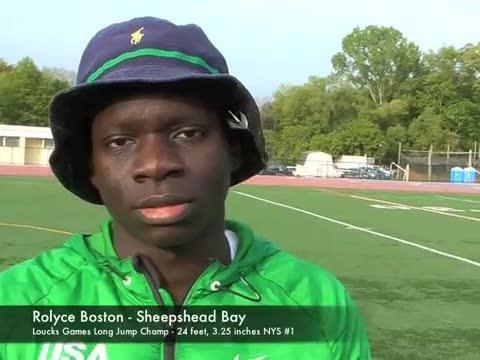 Sheepshead Bay senior Roylce Boston won the boys long jump in 24-3.25 at the Glenn D. Loucks Games at White Plains.